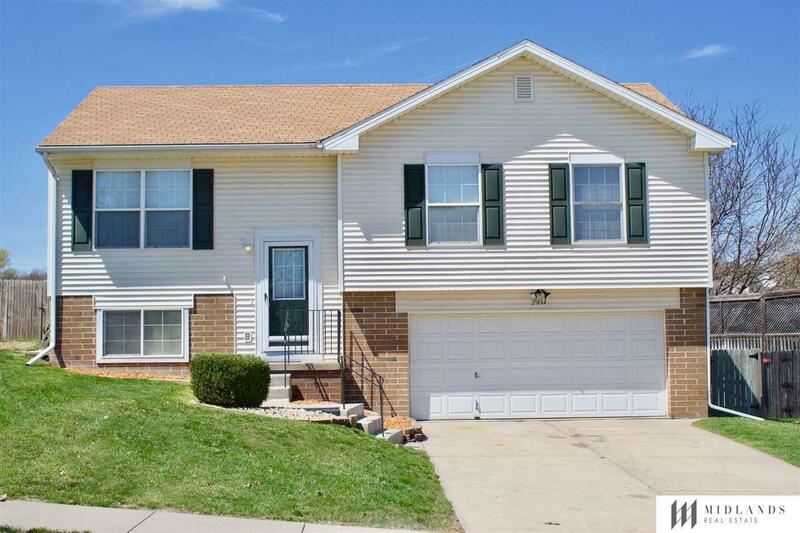 This split entry home has fresh new interior paint and carpet. Cathedral Ceiling in living room. Vinyl siding and storage shed. Close to neighborhood walking trail. Home is ready for new owners. Nice back yard with wood privacy fence. Kitchen counter top is on order and will be replaced prior to closing. Same color and style. Listing provided courtesy of Midlands Real Estate.